In recent weeks I've finished several staple products and travel companions that live in a little leather pouch (made by Jola V Designs) that moves from purse to purse. One such item was my old Chantecaille Voile de Rose, which I replace with an equally impressive compact, Estée Lauder Scorpio Zodiac Powder Compact. It holds the old Lauder standby, Lucidity, in its transparent version (Lauder also offers five tinted options) that is slightly beige, so it'll never look ghostly or ashy. If you're not familiar with Estee Lauder Lucidity, it's one of those soft-focus powders that give a luminous look without drying the skin. "There's not a Scorpio female alive who doesn't think she's all woman. This girl certainly has enough glamour, and she's enormously seductive... It's just that, unconsciously, she would prefer to be a man. Less restriction-more opportunity. It's the one secret she even hides from herself, and seeing it exposed won't sit well with her. This Scorpio loves shiny things, and the golden Estee Lauder compact with the little citrine-colored crystal (November birthstone) in the clasp fits me perfectly. It's tiny enough to be shoved in a pocket, but I'd recommend keeping this little treat in your makeup bag. 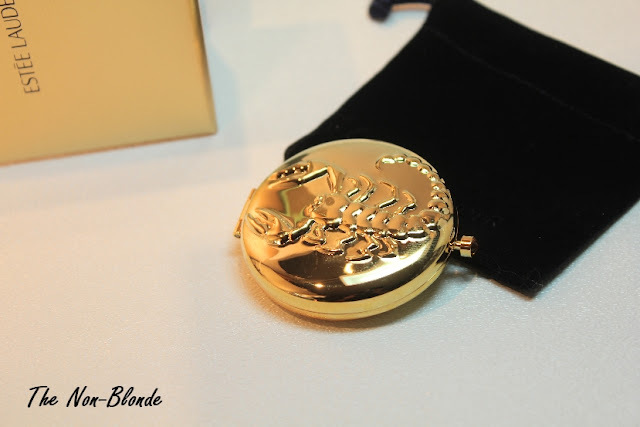 The mirrored compact is refillable and isn't too heavy (it's smaller and lighter than Guerlain Meteorites). It comes with a black velveteen pouch and a mini puff. Bottom Line: I love it with my passionate little Scorpio heart. Estée Lauder Scorpio Zodiac Powder Compact- Lucidity Translucent Pressed Powder ($70) is available from Nordstrom, online and in store. I think that's from Linda Goodman's Sun Signs. I LOVED that book in high school, more than I care to admit. I now think astrology is total hooey, but I am glad to be a Scorpio because I do like the scorpion. Oh dear, I am a triple Scorpio ... wonder what they'd say about that. I'm a scorpio too. 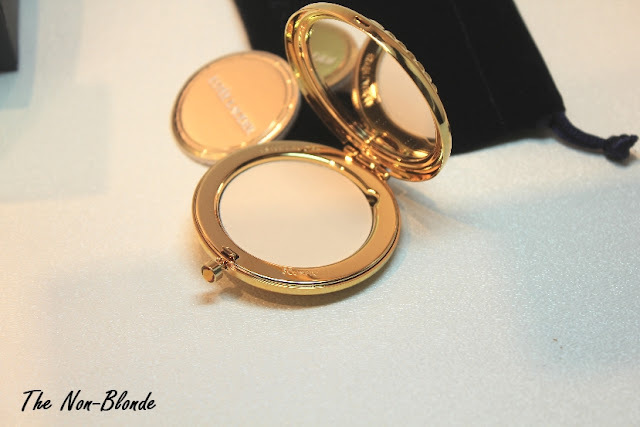 Totally craving this compact! Love the compact ... and since I, too, am a Scorpio must have this! Thanks so much, Gaia:) Charlotte M.
Very chic! I have been thinking about getting one for about a month. I just don't know how much I would use the powder. As a Scorpio, I saw this and wanted one. I'm not sure I can live up to the lofty ideals set by astrologers, but it's fun to pretend. I had to score a vintage one off of ebay. hooked for sure!